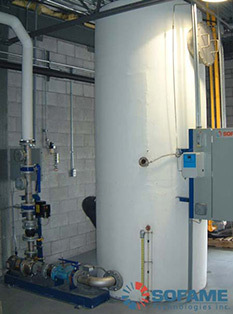 This slaughterhouse in the Montreal aera has used a SOFAME Percomax water heater since 2002 to heat water for sanitation. The quality of the water produced by the SOFAME units has been approved by the Canadian Food Inspection Agency for sanitation of food plants. 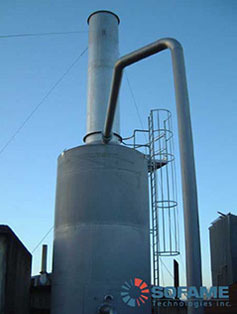 Lallemand, a subsidiary of American Yeast which produces industrial yeast, has used a SOFAME Hybrid Percomtherm since 2002 to heat their process water. 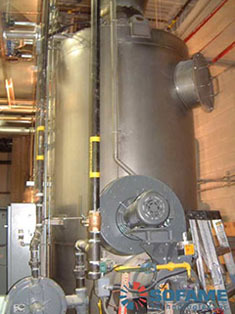 The University of Toronto uses a Percotherm to heat buildings. This is the biggest installation project for this product ever achieved in Canada. It allows recovery of 13 MW. Since 2002, a SOFAME Percomax has heated the water used for sanitation in Olymel's St-Simon meat processing plant. 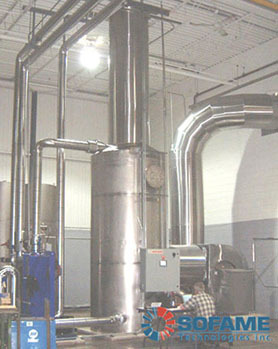 A SOFAME Percotherm was installed in this paper mill in 2002. It recovers energy previously lost in the chimney and transfers it to the white water. A SOFAME Percomax was installed in 2002 in this slaughterhouse operated by Agromex, a subsidiary of Le Groupe F. Ménard. The hot water is used for sanitation. This is the biggest Percotherm installation project ever achieved by SOFAME. 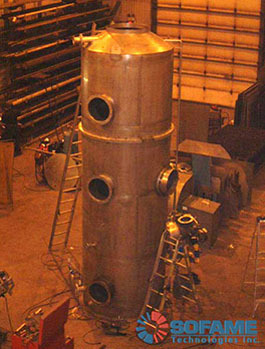 The heat recovered from the gas turbine cogeneration is used to heat the water from the liquefied natural gas vaporization tanks, 60 MW of energy is recovered. 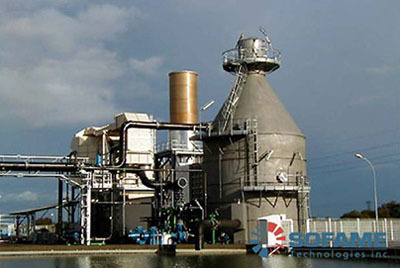 Since 2001, a SOFAME Launrec RBT waste water heat reclaim system cools the hot waste water before it is discharges to the sewer. 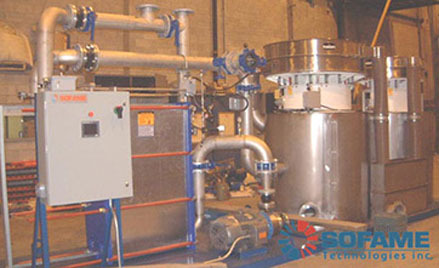 The energy is used to preheat city water for the dying operations of this textile manufacturer. A Percomax direct contact water heater completes the heating process. 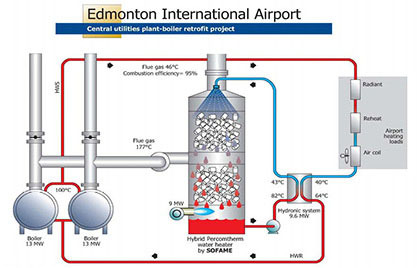 The expansion of the Edmonton International Airport necessitated increasing the capacity of the Central Utilites plan, including doubling the capacity of the Heating Plant. 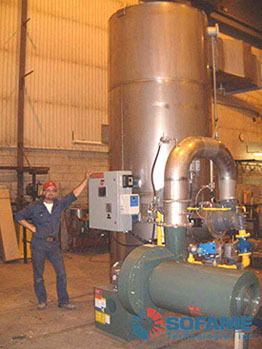 The KEEN / REID CROWTHER partnership, the project mechanical engineers, approached the design of the Heating Plant expansion with several objectives, including minimizing capital cost, and minimizing Heating Plant operation cost. This resulted in the installation of Sofame Hybrid-Percomtherm. 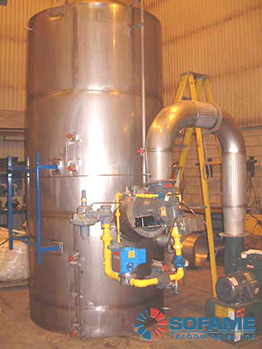 This Montreal dyer has used a Launrec RBT since 1993 and a SOFAME Percotherm since 2000 to produce water used in the dying process. 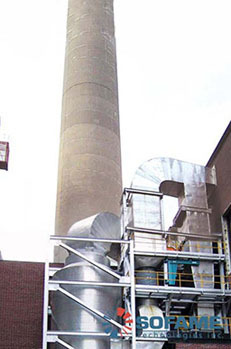 A SOFAME Hybrid Percomtherm unit is heating this multiple-purposes building in Surrey. The building includes a school, offices and stores.